Everyone I know has to do some sort of exercise. No one is immune to getting fat and many people don't want to be fat. There are no miracle fixes and everyone has to find out a way to get in there exercise. Some people don't like seeing a reminder of what they need to do for themselves. Those people just go about their day doing whatever they need to do to get by. I however don't like to think about what I am doing or what I need to do for my day to get in my exercise for the day. Knowing that I need something to do the work for me I went out looking for the easiest gadget for my needs. When I got to the store I noticed a few different products and they were all so expensive. I looked through them all and ended up leaving without buying anything that day. 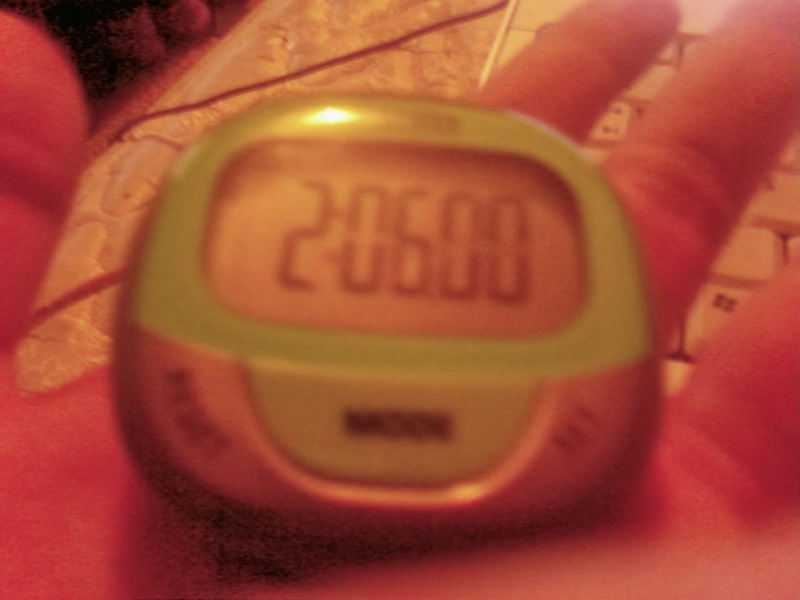 When I went to our local bargain store I found a decent looking pedometer at an amazing price. It only had a few buttons and a large easy to read screen. When I looked it over I noticed it tells you how many steps you did that day, how many miles you went etc. I also enjoy that it tells me up to 7 days later so that I can write down all the info whenever I get the chance. This thing can take a beating, it is one tough pedometer! I left it in my pockets and it went through the wash. I thought it was a goner but my husband brought it home and said he would fix it! He opened it all up and dried it out. When I put the battery in the next day it popped on like nothing had ever happened to it! Many times it has been dropped, kicked, and stepped on. It just won't die and I can't think of a better product to be so durable. If you need a new workout gadget, check this one out. It is affordable, easy to use, and it will get you out there walking and moving more because its almost like a game to beat your steps from the day before. I am so much more willing to get up and do walk now because I can see the results on the screen and on my body. I will use this thing until it finally does die on me and then I will get another one! Kids are the most beautiful things in the world. Nothing compares to the feeling of being pregnant. Everyone caters to you and makes sure you have everything you need. There are so many different changes to your body those 9 months and even afterwards. No one really talks about stretch marks. Stretch marks are the tell tale sign that someone was either small and got big or big and got small. There is no easy fix to stretch marks and no real way to hide them. People have been using different creams for a long time with no results. Some people even spend close to 100 bucks with no real results to show. I too have a problem with stretch marks and I was uncomfortable and didn't like showing my tummy to anyone even my husband! I researched and tried to find the cheapest formula that would work the best for me and get rid of all of these ugly marks all over my belly. One of my friends introduced me to Palmer's. At first I didn't see anything that would work for me but then I see a product in a different kind of container. 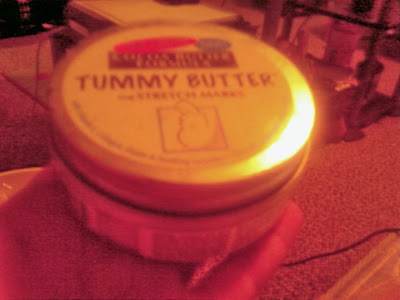 Its round and pretty big and across the sticker it says "for stretch marks" I thought this would be perfect so I bought it without hearing any reviews good or bad about it. When it comes to stretch marks, anything that you can find that works needs to be used. Anything that can give you any kind of results, works! Try this out for yourself, the price seems a little high but I had the same container for a few years! There really is a lot of the formula in there so its a great deal for the price! Men can smell in many different ways sometimes good and you just want to cuddle with them and sometimes you think a skunk would smell better then they do. On those days all you want is for them to take a shower and put on some good smelling deodorant and come and climb into bed beside you. Jumping straight into a shower is not always the easiest thing for anyone to do. So we rely on their deodorant to make it so we want to be around them. For the last 6 years I have known my husband he has used the same deodorant. Same smell, same brand, same size. Everything was the same, I noticed that it always worked no matter what kind of situation he was in and I had to learn more about this miracle! The kind he uses is called Extreme Blast and it has an amazing cologne smell to it when you stick it close to your nose. It is body heat activated,so when he gets to working and sweating, it gets to working and covering up his sweat. He puts it on a few times here at home and then he keeps a stick in his locker and applies it at work a few times. I have gotten so use to the smell that I often mistake it for cologne. It works very well. None of his shirts ever have sweat stains for me to remove so laundry is much easier as well. Also the smell sticks to his shirt long after he has taken them off. If you get too close to them you can tell they are work clothes so you don't sniff too close or you will regret it. I say anyone with a stinky man in their life needs to get this for them because they no longer smell like stinky men anymore. This stuff is cheap but does work and worth every penny that you will pay for it. Most importantly your laundry will thank you by being so much easier to get clean. Many people have problems with body odor and smelling not so fresh. Some think that any old deodarant will do but that is simply not the case. They all do something different and are for different things. Some for just sweat and others for stress sweat. I thought they were the same, that they would do the same job but I found out that I was dead wrong. I was always trying to cover up the sweating and was getting nowhere. One day I found out that I needed different ones for my many different situations. I found out that I may be doing some stress sweating and that my current deodarant may not be doing the job that I was using it for. Then I found Secret Clinical Strength. They have so many good smells and uses. As soon as I started using Secret Clinical Strength I noticed that I was a lot dryer then I usually am and a lot less smelly. Stress was my problem and I didn't even know it. I still have to apply a few times a day but it is worth it for the results that I am getting! 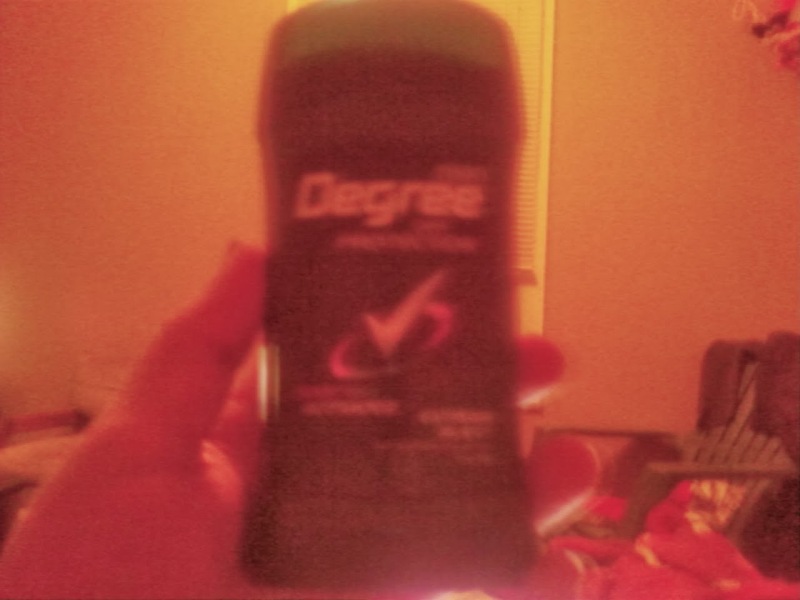 I recommend this to anyone who has the same sweating problems as I do. If you can't figure out why you are sweating or don't want to smell so bad anymore but also don't want to talk to a doctor about such an embarrassing condition, then this is for you. Try it out if it doesn't work then don't try it again. But I use this and it really does work for me! Everyone goes to the bathroom at least once a day every day of their life. Many people have different rituals that they use to mask or hide the smell. Some people do nothing to hide it and just think that it is a normal part of life. Those are usually guys and the smell doesn't bother them. If you are like me though you use different air fresheners to try and hide it but nothing helps. 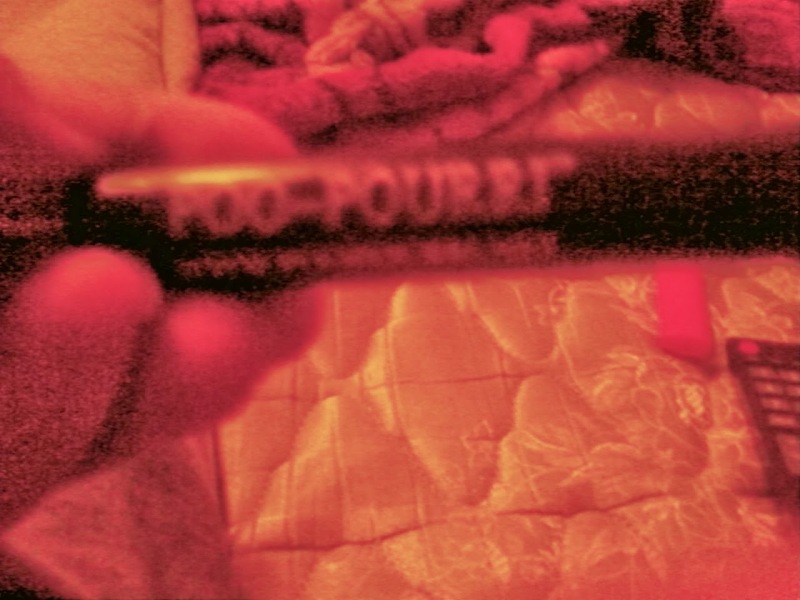 Nothing, until I got a free sample of Poo-Pourri. I had never used something like this so I was wondering if it would work or not. When I took it out of the package I read what I had to do and it seemed pretty simple. All you have to do is take off the cap and spray a few sprays into the toilet bowl before you start to go. You then go and instead of smelling bad the room is filled with amazing smell. It couldn't be much easier to use and it really does work the way it is suppose to. The only problem I see with it is if you had to go and you had to go really fast. This is a small container and would fit in your pocket or purse and you could easily take it with you on the go. When you are at a friends or a public bathroom,you can do what you need to do and no one will be the wiser. If you are like me and you don't want anyone to smell what you have done then get this product. It is small discreet and you will thank yourself (or whoever uses it) every single time you have to go. I have been infactuated with the idea of the SodaStream since it first came out. The idea that I could have my pop every day in a healthier way was just awesome! All I knew about it was that you used water and some sort of syrup to make up a drink. Making it my mission to get one was something I did right away. I did it so fast that I didn't even stop to ask people what they were even like. I thought the dream was slipping away until my friend decided she would trade me hers for something that she wanted. I was over the moon excited at the thought of finally getting what I wanted. When it came time for the box to come in the mail i ripped it open asap. The machine was a lot bigger then I thought it was going to be. The syrup bottles were a lot bigger as well. It seemed that there were instructions so we started the process. Everything was going well until it made the evil sound. This sound was so loud and surprising. We live in an apartment that is over top of a business so we can't be too loud. The sound is so horrible that now we can only use the machine when the business is closed and everyone else up here is still awake. The drinks also go flat way to quickly but everything else is just what I expected from SodaStream. If you want a good drink without all of the sugar and can deal with the loud annoying noise then get yourself a SodaStream! Make sure you you tube to find out just how loud that noise is! Anyone who has ever had to get a diaper on a toddler or child that doesn't want to sit still knows how hard that can be! They move, roll over, and sometimes even cry when it takes too long. Has anyone ever taped one of the tabs to the childs leg or had someone potty on them while they are trying to change their child? 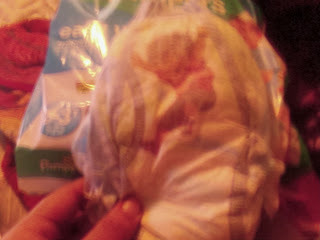 Also how hard is it to potty train a child early with diapers because there are no training pants in their size? 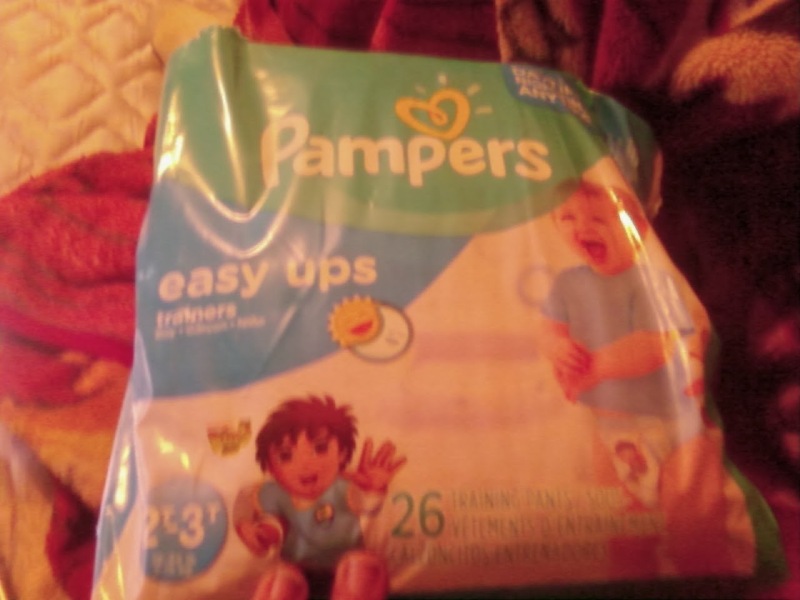 Pampers has a solution for all of those problems and in a size where younger kids can wear them too! Even if you are not ready to potty train your child, these trainers will make your day so much easier! No more wriggling or rolling over and no more tabs to stick. Just stand your child up and have them step into these like they are stepping into a pair of pants. Simple and easy to get on and off no matter where you are at on their schedule. I haven't had these leak through yet and they seem to be much more comfortable then diapers for my child. My son just loves that fact that Diego is on and now he doesn't fight when it's time to get a new one on. The hardest thing I go through now is getting him to stop pointing out Diego so I actually get them on him, since there are 4 different designs but only 2 per package. I also love how the sides just come apart and make the job seconds instead of minutes. 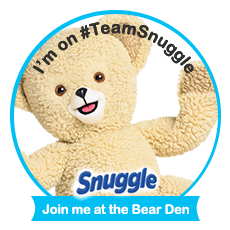 The insides also feel softer on babies skin and I haven't had nearly as many rashes with these as I did with regular diapers. Happier kids equal happier parents! Some people seem to think that wipes are only for babies or people who wear makeup and that guys would never be caught dead using wipes. Those people obviously have never had to be somewhere in only a few minutes after working all night long. They obviously have all the time in the world to wash their faces multiple times a day. 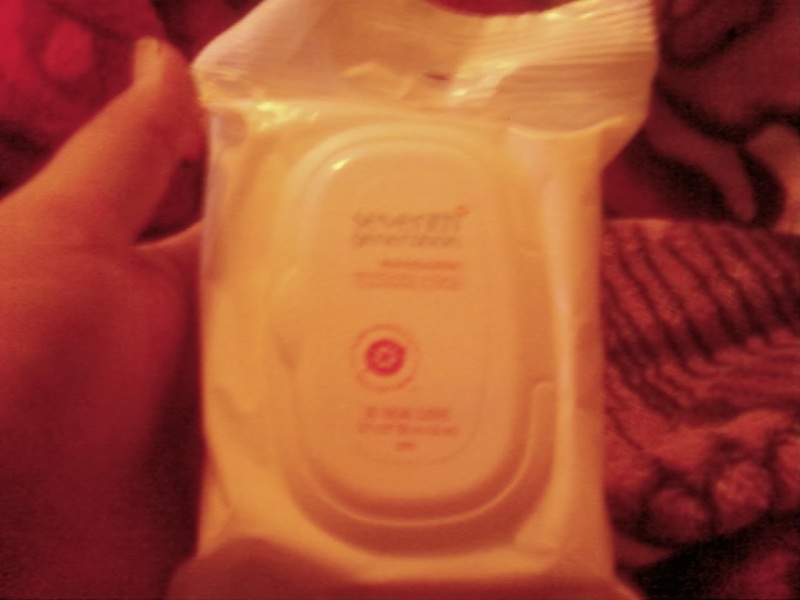 I am not a girlie girl at all so I never knew of these wipes that can make your day go so much faster! A few months back I got a nice package from Seventh Generation (many samples and a few full sized items for the purpose of having a party to get others interested and learning about Seventh Generation.) I knew that this brand is great for people who are all green or are trying to be more green. The products are good for the skin and do not have the harsh chemicals that other companies use. My husband has a really dirty job and doesn't always have time to hit the shower when he comes home after working all night long. I used all of this dirt at my party by having him use one so the ladies can see how well they worked and what sort of smell they left behind. I never thought that my husband would keep using these wipes after the day I "forced" him to help at the party. I love the container that the wipes came in as well, they really keep them wet and they don't dry out at all, unless the top was left open for a long period of time. The smell just comes out at you when you first open them and every time afterwards as well. The wipes are a very good size and eventhough they can only be used once you can use them for very big jobs throughout the day! Whether you are using these to clean up after work, taking your make up off, or just wanting a refresher during the day these are for you! They don't make you sticky and you can really feel them working and making your skin clean. I will use these again, will buy again, and I will tell everyone how awesome these are! Everyone knows that I am not one to enter giveaways. My friend had done a review on H2M beverages on her blog and was giving some away to one lucky reader. Usually there are many people that are trying to win and the chances of wining are slim to none. But my friend is just starting out so there was a fairly small number of people who had entered. When it was almost time for her to do the drawing, I decided that I would go off and clean the house because there was no way I was going to win, I never win anything! I got back to the computer and there was a message telling me to go look at the winner and right there on the page in front of me was..my name!! I hadn't really checked out what I was trying to win so I went and checked out their website. When I looked it up it seemed like it was water with a twist. There are vitamins and minerals hiding in one of the 2 lids and somehow it magically drops into your water as you go to drink it. We had some water that seemed to be the same concept of this at our local fair so we thought we knew what was coming and got very excited. The bottles themselves tell you exactly what to do. You grab the top "top" and turn it clockwise and you watch the minerals and vitamins fall into the pure water. You could probably leave it open for a few minutes and still not get it all out of there. Who has time to wait?? This water now looks so good that you won't want to wait that long to get it into your mouth! If you are expecting these drinks to taste like the names they were given..you are wrong. Most of them smelled just like apple juice and I can't even begin to tell you what they taste like. You would think they would be different since they are called different things but the tastes are all about the same. To me it was a down in because it will never be gone if I just sip it. These are not exactly what I usually drink and I can't say I would ever buy them but if I got more for free we would drink them. If you are a health conscious person who can do without having a good taste to their water then this product is for you! The bottles are nice looking, very good size and they will last through out your whole workout. Maybe you can try putting some sort of flavoring in with them and that might help as well. In the end I could get through them but it was not always a nice experience. I am thankful to Michelle and to H2M for letting me try out this product so I can share with others! Everyone I know suffers from all sorts of acne. Even my 11 year old daughter is now starting to have problems with bumps popping up on her face. Acne is the one thing that celebrities and normal people alike can all share a bond about. There are many products out there that claim to help but they also take all of your money at the same time. 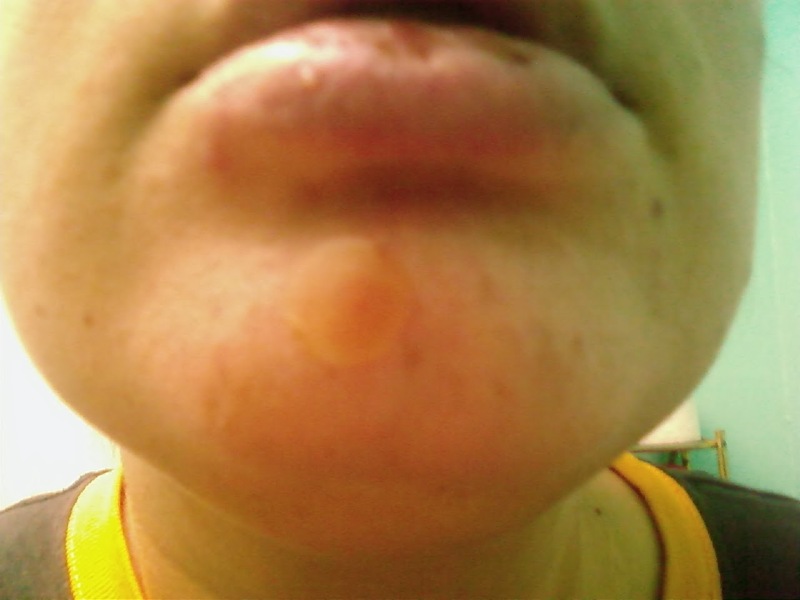 --Pull off a pouch and place it onto the center of one zit. Then either sleep or go off and do whatever you need to do for the time that you have it on your face. If you are going to go out with these on and are going to wear make up as well make sure you put this on and then put on your makeup and go about your day. When I went through the list and put these on for the first time I noticed just how simple they are to use and wear. I have forgot these were on and went out about my day only to find them on my face when I get home after a long day. They do look a lot like bandaids so you can get away with it if you do wear them out of the house without make up. 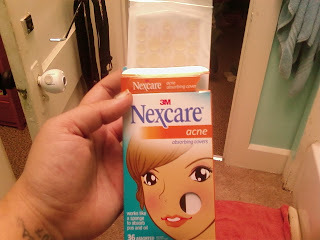 I also enjoy the fact that I am not wanting to squeeze or pop the zits that are on my face when I am using these covers. You forget that you even have zits on your face when they are covered up, heck like I said earlier you can even forget that you have the covers on your face at all! They come in two different sizes in which I call a normal size and a tiny freak zit size, they are non drying so the zit won't dry out underneath the cover and it works like a sponge to absorb oils. 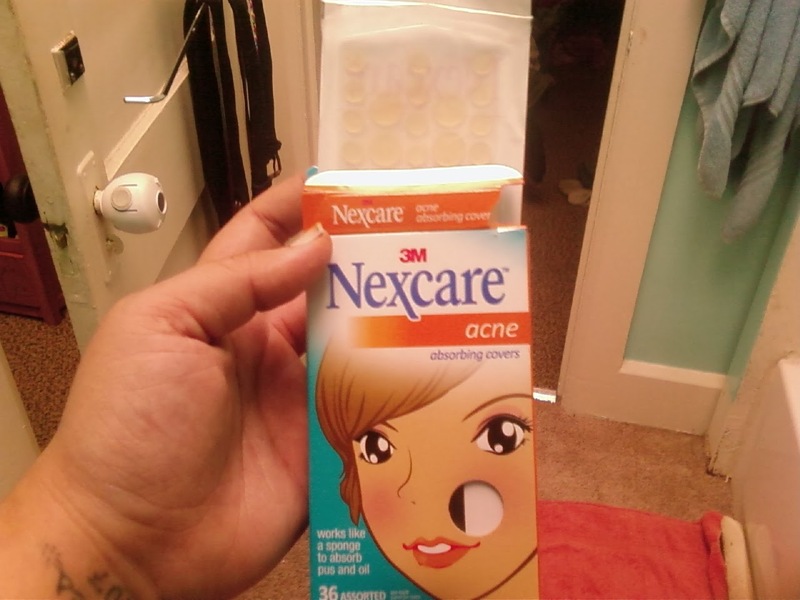 I have to say that any time I get a zit I use these "pads" and it really makes them go away so much faster then they would if I had just left them alone. I do reccommend this for people who are like me. They don't enjoy zits but they don't like a big routine or they can't afford more expensive products. This works just as well and its an apply and go procedure not an ongoing every night/day routine. This product really does work for me and I hope you will try it and that it works for you too! Your hands are the way to feel out everything and if your hands are dry and cracked then life can really hurt. As a member of Swaggable I got to try lotion for free and even keep it when I am done. Tree Hut is a brand that I had never heard of before so I was a little worried that it wouldn't work in the way that my usual brand does. All sorts of questions flooded my head when I get in on this oppurtunity. I expected a small sample that you can use once so when the package came and it felt like it was decent size I couldn't get into the apartment fast enough to rip it open. The first thing I saw was the size and then the packaging hit me. I love the colors of it and the pictures on the bottle really draw in your attention and make you want to pick it up and read it. I fell in love with the name as well "moroccan rose" Anything having to do with roses gets my attention very quickly. Upon reading it I see that it also has shea butter and that is one of my favorite scents when it comes to lotions and soap. I opened it up to get a better smell and it was like heaven. I think I could fall in love with this lotion that I had never heard of before. I put it into my hand and don't make my mistake..a little goes a long way believe me! I ended up having to spread it onto my arms hands and legs to get it all used. 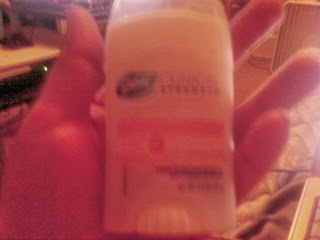 It is nice that a little bit can cover so much because that means its less that you have to pay for more lotion! 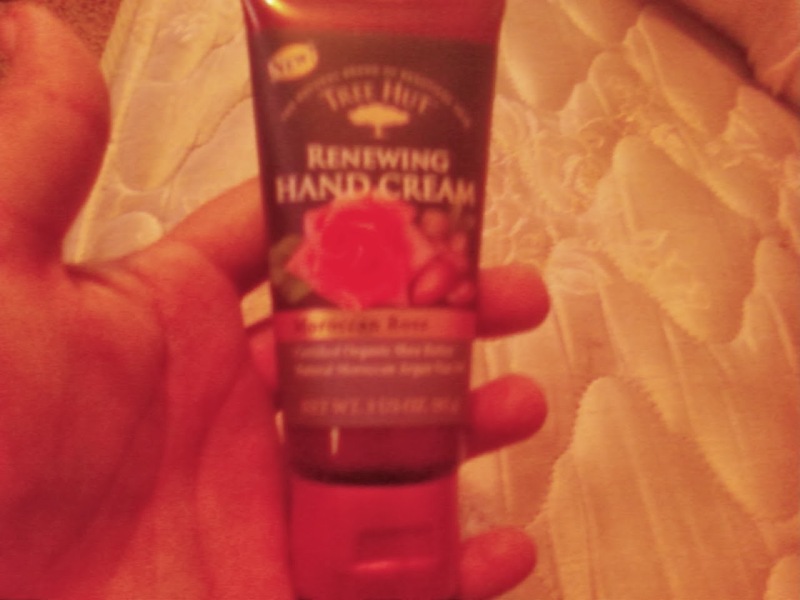 My hands feel silky and smooth, there is a little bit of a greasy feeling but for the most part it feels so good when you put it on and it smells so good as well! My usual itchy hands are no longer itchy for the moment and the lotion stays on for hours instead of only a few minutes like with other lotions. You won't find a white mess here everything goes into your hands smoothly! I would reccommend this to anyone who wants a good lotion, that has a great smell, packaging and it doesn't leave you at all greasy. People will ask you what they smell is and then you can reccommend this product to them, you will not be dissappointed. I am always trying to find and use new products. Loving the fact that barely anyone else in the world has seen or even used these products. Just the thrill of almost being the one to say yes or no to a certain product is amazing. Almost like being a secret shopper but with less work to get done. When I found out that I won a Kiss product I was really excited to get them and use them. I am not much of a girlie girl but I can't stand to have plain ol ugly nails. With arthritis it is also harder for me to use nail polish so I am always looking for easier to apply and use nail polish. They have to dry quickly as well because I don't have the time to sit and wait to get my other work done. 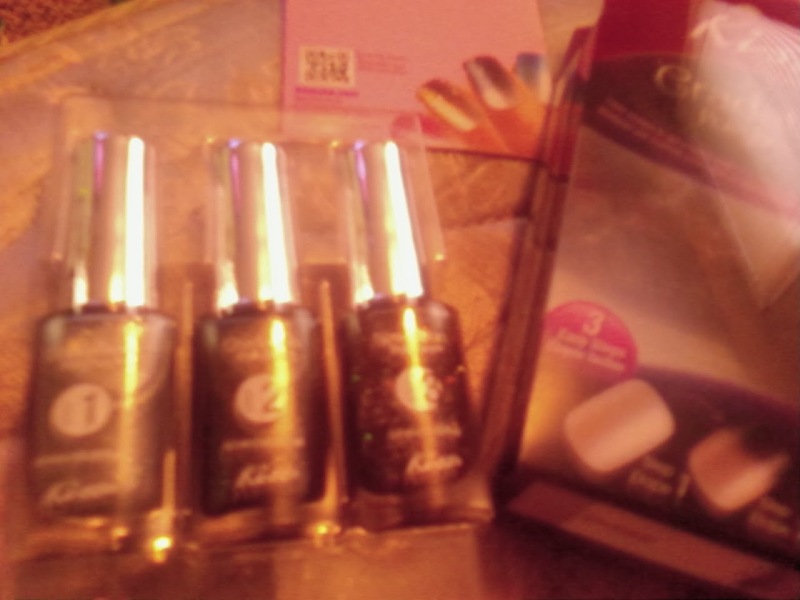 When I opened the package and saw the nail polish I immediately loved the colors. Anything having to do with dark colors is something that will really draw me in and make me fall in love. Before reading the package I thought it was 3 different colors or colors that you can use with other nail polishes. But as I read it I found out that you have to use them all together to get the desired effect. I read on and found out exactly how to do it and waited until I had some more time to sit and put them on. That time came at my father's viewing and funeral. I made sure to sit down and have plenty of time to get this all done. When I put on the first polish I noticed it was kind of thick and then waited until I could put on the second coat. It took a long time to get the first coat to dry and when applying the second coat it seemed that I almost didn't wait long enough and it was starting to come off. I decided to wait another few minutes until I was sure it was finally dry and painted on the second coat. At this point as I was waiting for the second coat to dry I really started looking at the pics of what was to come and I knew my nails would ever look that way. Then it was time for the black coat to go. This coat was to only go on the top 1/4 of the nail but my hand slipped on a few of the nails and it ended up being about half way on each of the nails. By this time my hands are really hurting from all this painting and drying that is going on all the time. I worked out the hand issues so that I could paint on the glitter top coat. 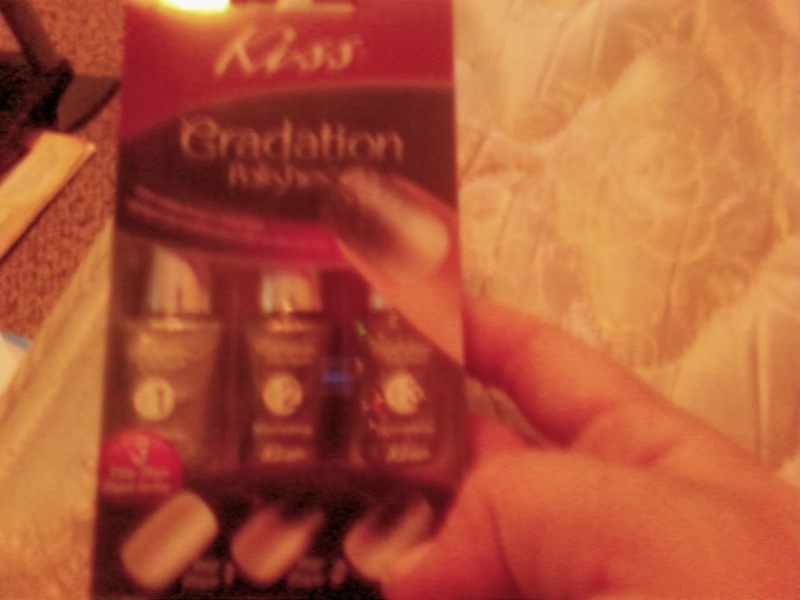 This one is suppose to be on the top half of the nail and almost make it look like there is shading on your nails. This one went a little past the halfway point since the coat before was painted too far down. After 4 coats, I am finally done painting my nails but they feel so wet still and no where near dry. I look them over and I do love the effect that I made on my nails and that it was pretty simple. But anyone who has arthritis or hands that just plain hurt will not enjoy this as much as they should. The ending is pretty but the paint doesn't like to dry at all and what is usually a 5 minute or less job turned into about 20 minutes of working on my nails. Also you can only do one hand at a time so it takes double the time to get them done. I do reccomend this to people who can't get to a salon to get their nails done, it will be a lot cheaper but it will take a whole lot longer to do them this way then it would be to get a manicure. Your nails will look beautiful but your hands will be hurting. If you can deal with hurting hands to have some beautiful nails then this is for you!